My phpMyAdmin uses HTTP authentication. SqlBackupAndFTP does not seem to support HTTP authentication. 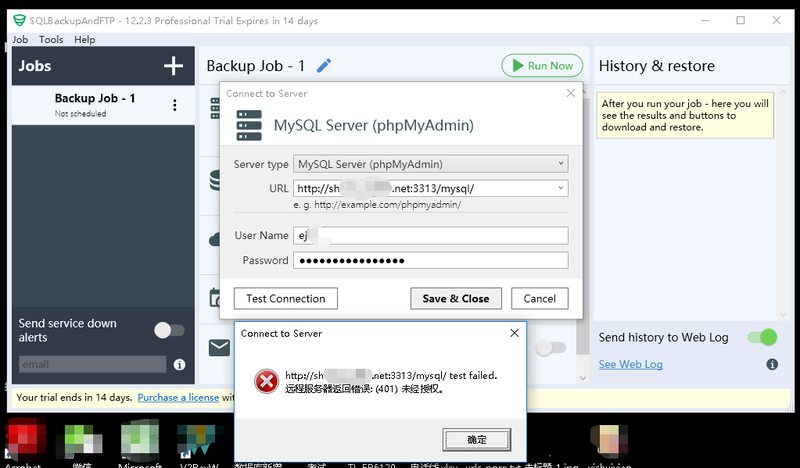 So SqlBackupAndFTP can’t connect to my MYSQL via phpmyadmin. Maybe I am operating incorrectly?